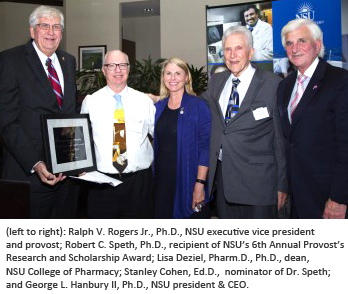 Growth and success continue to sustain the upward trajectory of NSU College of Pharmacy. I know you, as an important stakeholder of the college, are very proud of the many student, faculty, and alumni achievements highlighted in this newsletter. This semester has been a whirlwind of activity, including the opening of NSU’s Center of Collaborative Research (CCR), expanding research opportunities for all of our students. Several of our faculty have been recognized across the university for their amazing achievements, and our students are embracing the opportunity to be active professionally. We continue to grow our scholarship funds for students and sincerely appreciate the philanthropic support we have received from corporations, alumni, and friends. 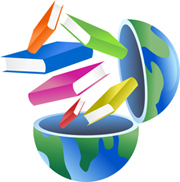 We are showcasing our many innovative projects nationally and internationally, increasing visibility for the college. I appreciate the support we receive from our alumni and encourage all of you to engage with us. 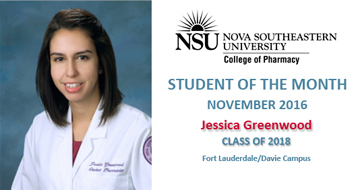 You can make a difference in the lives and careers of our students by helping to mentor the next generation of NSU pharmacists through our Career Development program. Although our college is unrecognizable from the early years in North Miami Beach, those years set a very strong foundation for what we have become and where we will go from here. We will be honoring our first pharmacy graduates at the November 4 reunion and I hope to see all of our alumni at the celebration. On October 21 the college hosted a medical marijuana debate to discuss the health, political, legal, and social issues related to Florida’s proposed Constitutional Amendment 2, to be voted on in the November 8, 2016 election. The event was moderated by Andrew Abramson, editorial writer and columnist of the Sun-Sentinel newspaper. Panel members included Ben Pollara, campaign manager of United for Care, Amendment 2; Representative Joseph Geller, Florida House of Representatives, 100th District; Barney Bishop III, CEO Smart Justice Alliance; and Representative Dennis K. Baxley, Florida House of Representatives, 23rd District. The inter professional medical panel included Jeffrey Block, M.D., Jose Valdes, Pharm.D., and Robert Speth, Ph.D. both of the College of Pharmacy. The event was streamed on NSU SharkMedia, Facebook and on the Sun-Sentinel webpage and can be viewed on YouTube. Publix is committed to the community and supporting non-profits focused on supporting youth and education. Through its partnership with NSU COP, Publix has provided $100,000 in funds towards the Publix Pharmacy Endowed Scholarship fund. The fund awards up to five $1,000 scholarships to P2 – P4 students interested in pursuing careers as community pharmacists, experiencing financial hardship, and demonstrating academic excellence. NSU COP is proud of its partnership with Publix, and their ongoing support of our students. Supported by a NSU Quality of Life Faculty Community-based Applied Research Grant and in collaboration with Accountable Care Options, LLC, MMR Healthcare, and Cambridge Medical Group, all from Boynton Beach, FL, and Juicery Rx, Coral Springs, FL, faculty members from the College of Pharmacy and the College of Health Sciences, provided expertise to patients on how to self-manage heart disease through diet, exercise and medication adherence. The event was aimed to improve quality of life in patients with two or more chronic conditions and provided information, inclusion, opportunities for community engagement, and other life-enhancing endeavors. The college celebrated American Pharmacists Month while supporting breast cancer awareness and the NSU Women’s Volleyball team at the annual 2016 COP Athletics Family Night. The event brings faculty, students, and alumni together to enjoy an evening of networking and pride supporting NSU athletics. The NSU Sharks beat the Barry Buccaneers, 3-1 in an exciting game on Think Pink night. We look forward to next year’s event. Stay tuned. P4 Pharm.D. student Christopher Daniel Pearson was selected to serve on the National Executive Board for the Student National Pharmaceutical Association (SNPhA). As Region II Facilitator, Pearson facilitates the largest region which includes 23 pharmacy schools from North Carolina to Mississippi. Pearson is thrilled to have the opportunity to serve, and will use his experience as College of Pharmacy SGA President, an active member of Phi Lambda Sigma Pharmacy Leadership Honor Society and Kappa Psi Pharmaceutical Fraternity, to maintain excellent communication between the chapters and the national office, be a source of encouragement and motivation for chapters, and promote collaboration. 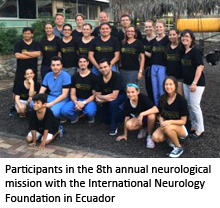 His mission is to ensure there are no barriers preventing chapters meeting their full potential and help establish SNPhA chapters outside the USA. Congratulations to Kaitav Shah (’17) who was awarded the NCPA Foundation’s Presidential Scholarship. The scholarship recognizes NCPA student members on the basis of leadership qualities and accomplishments with a demonstrated interest in independent pharmacy. Shah has served as both vice-president and president of the NCPA Student Chapter at NSU, as well as student representative for Broward County Pharmacy Association. In addition to being heavily involved in leadership activities at NSU COP, Shah is an honor student. Shah was recognized during the foundation’s Awards Ceremony in October, in New Orleans, Louisiana. APhA- ASP of Palm Beach teams up with Diabetes Coalition of Palm Beach County during Diabetes month to conduct the American Diabetes Association risk assessment questionnaire and measure blood glucose levels. 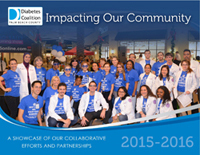 Last year over 20 students and faculty advisor Sarah Alameddine, Pharm.D. participated in the event serving over 100 community members. This year’s event is November 12 at Palm Beach Outlets. Congratulations to Ph.D. Class of 2016 graduates Mansour S. Almetwazi, Ph.D., Sirnath Muppalaneni, Ph.D., Abdullah A. Alfaifi, Ph.D., and Abdullah U. Althemery, Ph.D. Muppalaneni is now Senior Research Scientist at Sancilio & Company, Inc. in West Palm Beach. Almetwazi, Althemery and Alfaifi have returned to Saudi Arabia where they are teaching at national universities - Almetwazi at King Saud University and Althemery and Alfaifi at Prince Sattam Bin Abdulaziz University. COP faculty, Ana Castejon, Ph.D., Richard Deth, Ph.D., Jean Latimer, Ph.D., Appu Rathinavelu, Ph.D., Elizabeth Sherman, Pharm.D., Robert Speth, Ph.D., and Malav Trivedi, Ph.D. were all recognized at the External Funding Recognition Reception held in October. The award recognizes the extraordinary efforts of NSU faculty members who received external grant funding during the previous fiscal year. Congratulations to our outstanding faculty and the important research they do to improve global health. 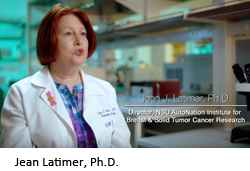 Jean Latimer, Ph.D., associate professor, pharmaceutical sciences, was named Director of NSU AutoNation Breast & Solid Tumor Cancer Institute. The institute is focused on developing and advancing improved methods of prevention and treatment for various forms of cancer. Connect with NSU’s research at TRED talks (left). Sara M. Eltaki, Pharm.D., BCPS, assistant professor, pharmacy practice, leads a practice site which currently bills for transitional care management (TCM) services. 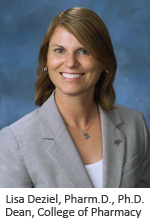 Eltaki and fellow APhA-APPM Transitions of Care SIG member Hannah Davis, Pharm.D., M.S., University Health System, Texas, led a webinar in the “Billing for Services in Transitions of Care” series. “Billing Fundamentals: Walking the walk, talking the talk” focused on basic payment structure, Medicare billing, how to generate revenue for services, and opportunities for pharmacy services under MACRA. Scott Kjelson, Pharm.D. C.Ph., (’14), joined the college in August as Director of Student Transitions, and assistant professor, pharmacy practice. Kjelson started his medical journey as a US Navy Corpsman where he worked as a surgical medic and completed his Pharm.D. degree at Nova Southeastern University. 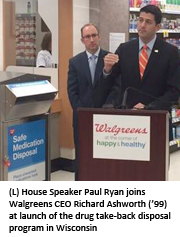 He will support the college’s mission by overseeing the seamless transition and participation of pharmacy students throughout the college experience. Please include 1 or 2 high resolution photos when possible. Plans are underway for the 2017 Travel Study programs at NSU COP. For the first time NSU COP will be offering three concurrent travel study programs: Travel Study Slovakia/Italy, Travel Study Puerto Rico, and Travel Study Argentina. Programs will be open to both NSU and non-NSU students. Applications will be accepted in January and applicants from colleges of pharmacy across the United States are encouraged to apply for these unique study experiences. Alumni and friends of the university interested in joining the program should contact phss@nova.edu for more information. Updated Information will also be posted on the NSU COP website. November 4, 2016 – Puerto Rico Fair - to register and for information contact Julie Marin, Pharm.D.